Two ensembles have been named the recipients of this year's Jazz North Introduces scheme, J Frisco and Andchuck. The emerging ensembles will receive a number of high profile performance opportunities as well as mentoring and support with EPKs and press. TWO OUTSTANDING bands of young musicians are being given the chance to make their name, thanks to a pioneering initiative by Jazz North, the organisation devoted to nurturing and showcasing talent. Manchester based Andchuck and Leeds band J Frisco are the latest beneficiaries of the Jazz North Introduces scheme, which will offer them high-profile exposure at leading jazz festivals in the north, along with guidance and supporting in promoting themselves. Now in its 5th round, Jazz North Introduces offers young musicians under 25 their first high profile showcase opportunities at major Jazz festivals across the North and Jazz North is delighted that additional funding support has enabled it to expand the scheme to support two bands in the current year. 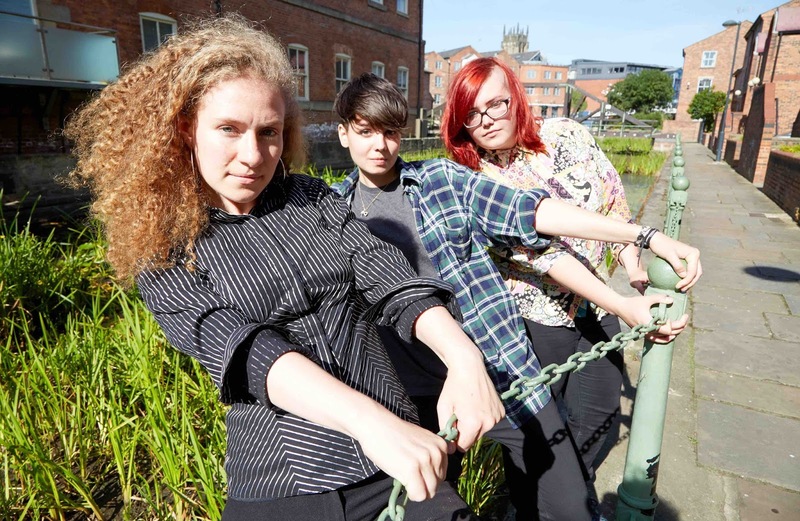 J Frisco is made up of Jemma Freese (Keyboards), Lara Jones (Saxophone) and Megan Roe (Guitar) who met whilst studying at Leeds College of Music and formed this free, experimental trio combining art and poetry with improvised music. Their aims are to change perceptions and break down boundaries through improvisation. Andchuck is a modern and experimental jazz quartet featuring Tom Chapman (Bass), Caitlin Laing (Saxophone), Jack March (Guitar) and Gabriel Alexander (Drums). Their main influences being Esbjorn Svensson Trio, Impossible Gentlemen and Snarky Puppy, they met at the Royal Northern College of Music and formed quickly, having played a few gigs across the North West already. The selection panel prioritized musical excellence, in terms of musicianship, creativity, innovation and potential. A shortlist was drawn up and assessed by an advisory panel consisting of experienced musicians, promoters, educators and Jazz North staff. This year’s applications for Jazz North Introduces demonstrated the wealth of young talent in the north. ‘The Jazz North Introduces scheme provides a fantastic and unique opportunity for emerging musicians to present themselves to audiences and for promoters to showcase the best young talent developing in the north of England - Dave Shooter, Lancaster Jazz Festival. The initiative was open to bands of up to five musicians, 75 per cent of whom, including the nominated leader, must be under 25, and living or studying in the north of England. Both bands will receive a package of help as part of the Jazz North Introduces scheme, including payment and expenses for the gigs, a photo-shoot and assistance in creating an electronic press kit. Each band will be offered six showcase performances at leading northern jazz festivals during 2017-2018. Jazz North’s partners in the initiative were Gateshead International Jazz Festival, Lancaster Jazz Festival, Liverpool International Jazz Festival, Marsden Jazz Festival, Scarborough Jazz Festival, Manchester Jazz Festival, Cleethorpes Jazz Festival and Leeds College of Music.